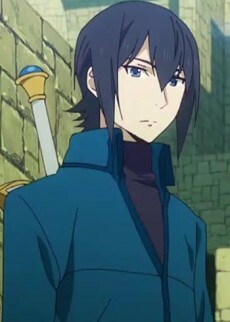 A high school student who was summoned to another world as the Sword Hero. He's considered a bishounen and tends to stay quiet. After his companions die, he fell into despair, and, thus, he followed Malty when she offered kind words to him. After being abandoned by her, he had a brief stint as a bandit, after which he came under the Female Knight's tutelage. He also unlocked the curse series after being abandoned by Malty. His sins are Greed (For Power) and Gluttony (For Power).